Fits (2007 – 2019) 144″, 170″ & 170″ Extended Wheelbase Models. Note: For Illinois Customers Only: This product is only available for pickup in our Chicago location. Shipping is not available. 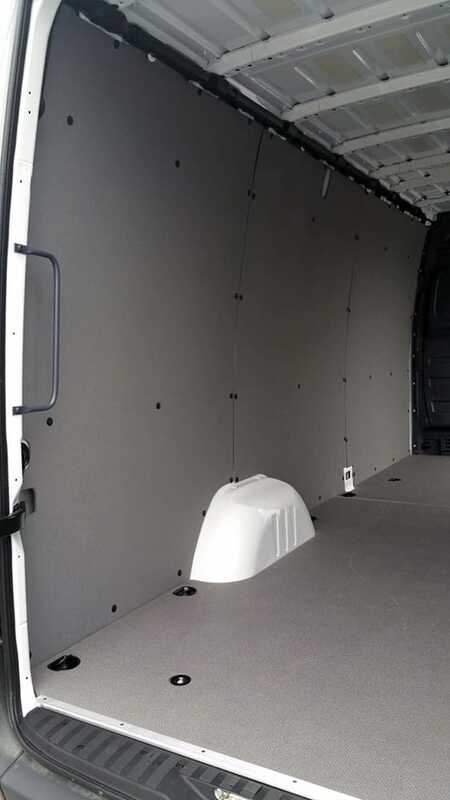 Penda Cargo Van Wall Liners for Mercedes Sprinter Vans gives your work van or commercial vehicle a finished look. Kits include 3pc heavy duty polyethylene plastic panels that cover the side walls only. 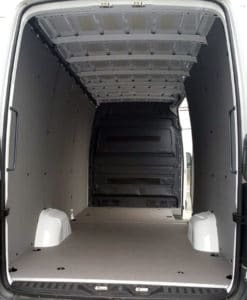 Van Liner Kits include all necessary mounting hardware (Headliner Not Included). 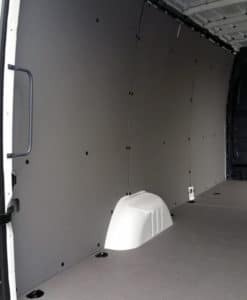 The wall liners give your interior a nice smooth finish that is easy to clean. 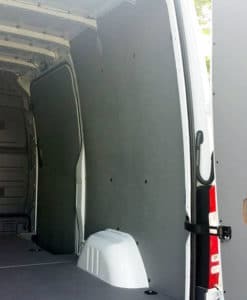 And the wall liners also protect the outer body of your vehicle from dents and damage that can occur from shifting interior cargo. 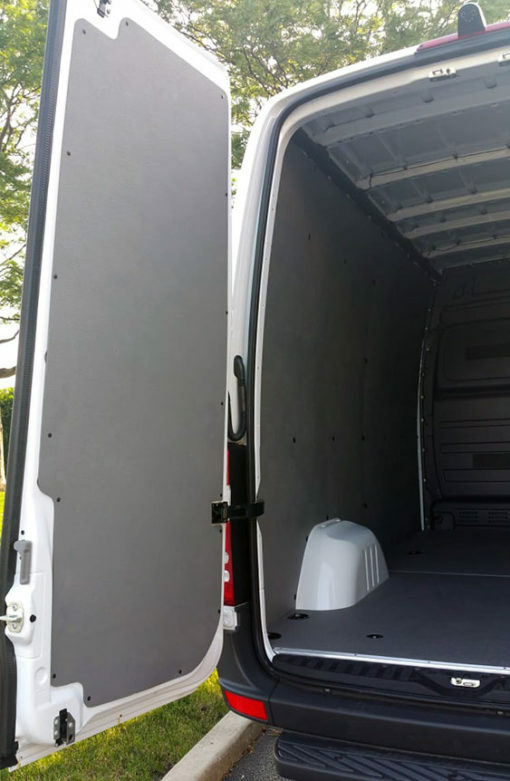 Protects the vans exterior sheet metal from dents or damage. Made from Heavy Duty polyethylene plastic sheets. 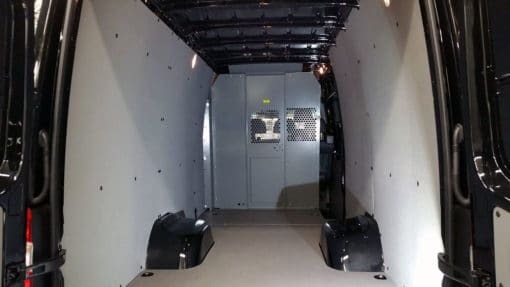 Wall kits are made to fit your make, model, and year of vehicle. 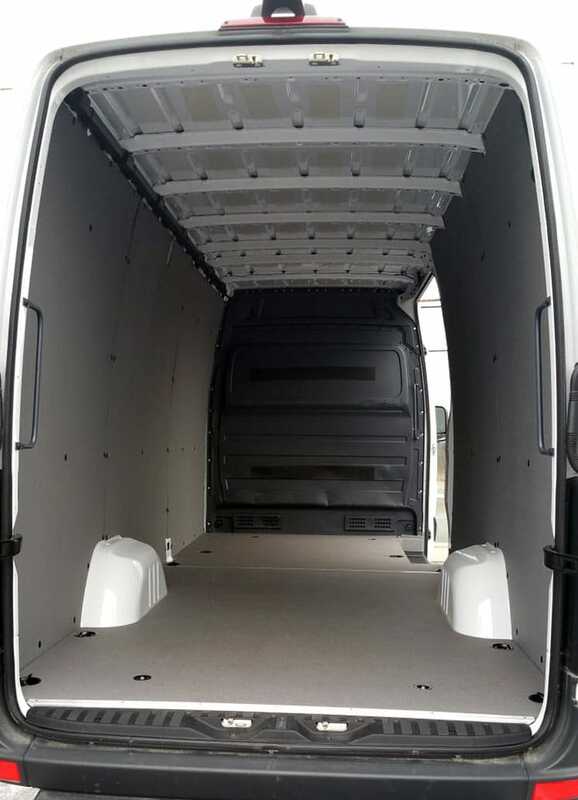 Gives a factory finished look to your van’s cargo interior. 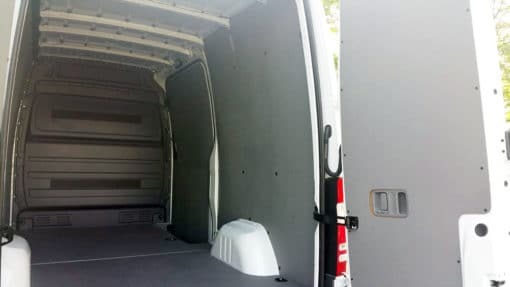 Simple installation, and includes all hardware needed. Easily cleaned with soap and water clean-up. 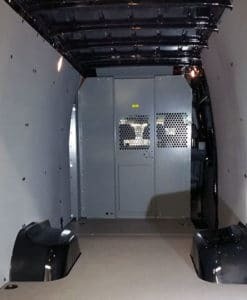 Wall Kits include (2) piece driver side and (1) piece passenger side walls only. 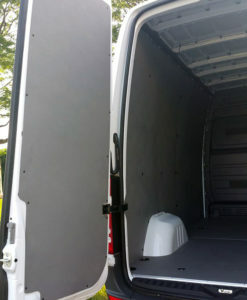 Door Panel Kits Include (2) piece full rear doors, and (1) piece full slider door.